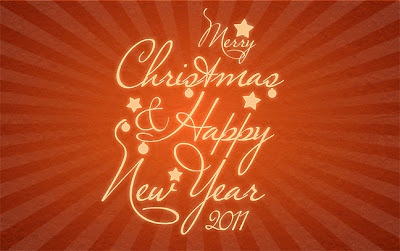 Wish you all a Merry Christmas and happy n prosperous New Year , 2011 !! Must have gadgets for 2011? With the cost of LCD TV's getting more and more affordable, HDTV's are getting an overwhelming response in the electronics consumable market. In 2011, LED TVs could be the hottest pic. Needless to mention full HD (1080p) that could soon be a default feature in all LCD/LED TVs, which consumers would be looking for. 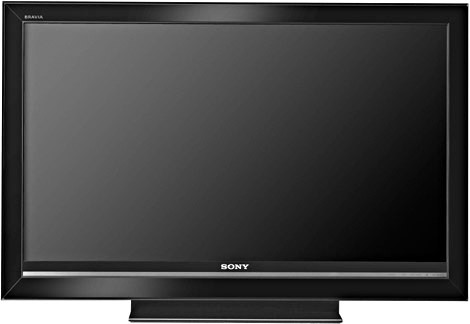 My Pick: A decent Sony LED TV with screen not less than 40". My Pick: Too early to decide, as most providers currently broadcast a handful number of channels. My Pick: Read Further !! 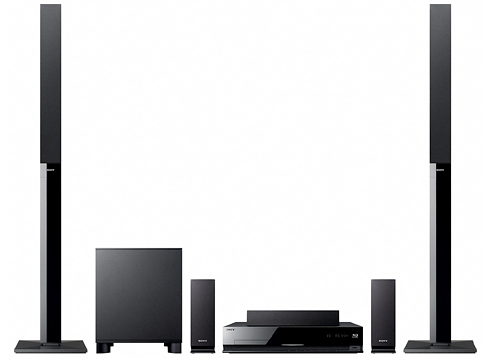 What's a 5.1Ch in a Blu Ray when you have just built in stereo speakers? People would become more serious about quality sound output, owing to the onset of Blu Ray Discs. Brands which bundle a home theater with a blue ray player for a reasonable price would surely be the winner. Sony, LG and Samsung seems to have smelled this already and are ready with their Blu Ray home theater models. But wait, they are too hot in the market and may be too dearer for a layman's wallet. My Pick: Go for the brand that's the same as your HDTV (as long as it's good one). 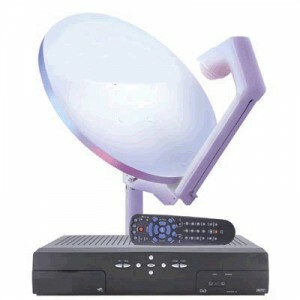 This could provide better nativity while connecting/synchronizing the Home Theaters with your HDTVs. (Sync Mode in Sony is an example) At least, you don't have to use multiple remotes to control. Though the reviews of Apple Ipad is not as catchy as expected, tablets will definitely find its space in a techie's backpack. Good bye Ipods and portable media players. 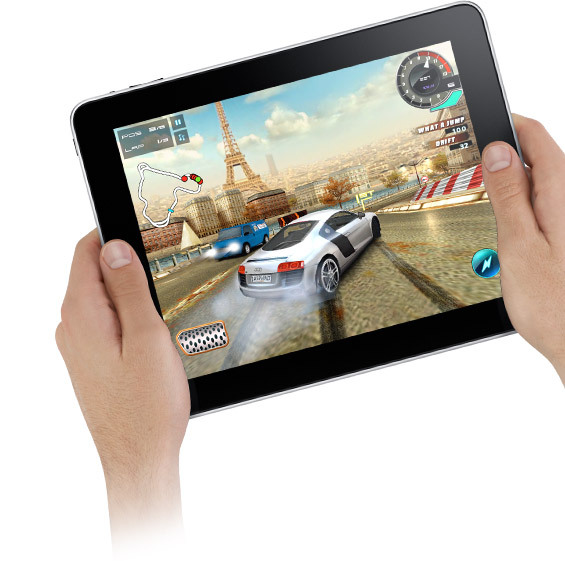 In India , Samsung has already posed a direct competition to Apple's Ipad with its Samsung Galaxy Tab. Look out for more brand to follow suit. My Pick: Wait for the Apple's next OS on Ipad. Thanks to Indian Ministries !! At last 3G is much nearer to reality in India, while the rest of the world are heading towards 4g !! All mobile brands have started their commercials on 3G but yet to launch. India's State Government owned BSNL have already launched their 3G services. I've got my hands on it only to find speeds just about 250Kbps. Data rates are costlier and could see a drastic fall, once all major providers launch 3G services. My Pick: Wait for the Airtel 3g. No surprise if we see a mobile phone revolution in India this New Year. 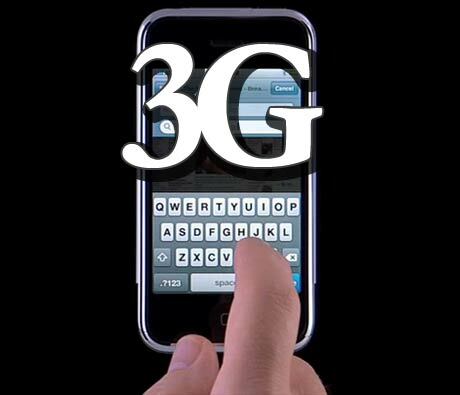 Once 3G gets launched, a humongous demand for 3g phones can be expected. When you can make video call lesser than 1 rupee per minute, why just talk when you can see each other ? A boon to teenagers, couples or a bane to Parents?. With Nokia leading the Indian Mobile phone market, let's expect some really affordable 3G enabled phones in 2011. My Pick: A Nokia 3G Business Phone with full QWERTY keypad, dual camera and video calling facility. Planning to get a desktop/Laptop and confused what to buy ? Have a look here. Will review more gadgets in the next post. Have more gadget ideas ?? Comment it out !! More interesting travelogues to come !! Watch Out!! 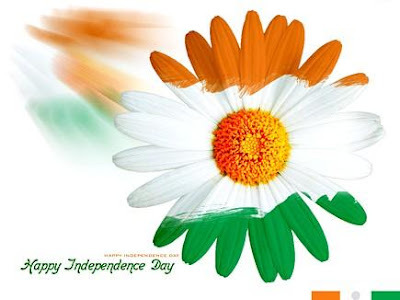 Independence Day wishes to all our readers !! Download font for new Indian Rupee Symbol ! 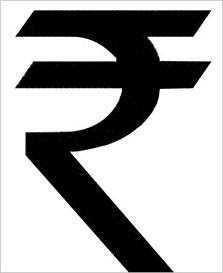 The currency symbol for Indian Rupee has been released recently. Click here* to download the new Indian Rupee Symbol. Click here* for instructions of how to use it. *Broken Link ?? Report here. This is the final post of the 3 part travelogue Trip to Mysore from Bangalore. Be sure to read the previous posts before you dive into this one. Having visited the Philomena Church, I still had ample time left for my evening train. I planned to visit Chamundi hills, a religious spot located atop a hill around 13 kms from the heart of Mysore city. Though there are multiple options to reach that place, I chose a call taxi, as I was already exhausted by that time and could walk no more. A 2 minute google search on my mobile, got me a sedan right in front of me in just 15 minutes. Though fare was quite costly it was worth it. I was lucky enough to get a chauffeur who could speak in my local language. He got little bewildered, when he got to know I'm the lone person to tour around. He should have expected a family or atleast friends to accompany. After all, each one has got his own justifications ! The road to Chamundi hills is a hill-side driving experience once again. Bends and curves all the way. Fun to drive around. Being a professional driver, the chauffeur manoeuvred with ease and landed me in the temple in less than 20 minutes. As any south Indian would be, the entrance to this temple was also lined with shops on both sides, selling pooja items, idols of goddess and other tourists gadgets. View of the temple from the sides..
Take a look at the temple timings. I was lucky again to be there at the right time. However, there was a long queue being a Saturday and I had to wait almost a hour for a "Dharshan". View of the temple from the front.. I could not resist myself from posting this pic, as this very spot reminds me of my college days where we had loads of fun during the annual college trip. I started back to Mysore after finishing my Dharshan at the temple. The chauffeur being a local resident, had good knowledge about the places and shared it all through the way. While descending, he halted a while for a breathtaking scenery of the city of Mysore from the hill. Some blogs insisted me to visit the government rail museum situated close to the railway station. I asked the driver to drop me near the railway museum as the railway station is just a walkable distance from the museum. Aesthetically designed ticket counter. Wise re-use of rail wagon. Finally at dusk, I made my way to the railway station to catch my train, that would take me back to the usual not-so-thrilling "City Life". More interesting travelogues to come! Well, this is the continuation of my previous post "Trip to Mysore from Bangalore". Read it first before this to get a heads up of what this trip is all about. The sky was overcast that day, with slight drizzle inbetween laying a perfect stage for my journey. So, the tonga finally landed me in front of the Royal Mysore Palace. The crowd was fewer than I expected (weekend though). The entrance leading to the main gate was lined with several small petty shops, that sold hats, camera rolls, batteries and other handicraft items. Mysore was ruled successively by the "Wodeyar" generation. This palace has more references to the King Krishnaraja Wodeyar, not only for rebuilding the old burnt out wooden palace to the present Royal Palace, but also for being the longest ruler in that era. The history of Mysore is a long topic to be covered in a small blog and I'd encourage you to discover it over the web. A lot of websites are available, that throws limelight on the Vijayanagara Empire and its rulers. Mysore Samachar is one. There is a temple inside the palace compound, which is claimed to have witnessed the various changes in the empire. That day, I was lucky enough to watch a procession, which the descendents of the Royal Family perform pooja at this temple every Saturday as a ritual. Since when monarchy was abolished in India, the Royal Family has opened up the palace to the public for visits, and they still live in a secluded area inside the palace. What's a procession without the mighty elephants ?? And now, the Royal Palace at 45 degree angle..
Front view, I had to walk few yards to capture it in a single frame. !! Oh yes, it's me.. Thanks to the Chinese backpackers for the click. A 360 degree video clip as seen from the centre of the palace grounds. Attention folks, photography is strictly prohibited inside the palace. After being inside the palace to my heart's content, I got on my feet again. It was almost noon by that time, I had my lunch at Indra cafe and decided to visit Philomena Church. I hired a local autorickshaw, as insisted by one travel agent and headed towards Philomena Church. It costed me 20 INR for about 2.5 Kms from Indra Cafe. Just like any other churches, regular masses are conducted here too. Ensure that you don't disturb the church proceedings if you happen to visit the church during the masses. There is even a statue of St. Philomena kept in a sanctum inside the church. The two towers of the church raising over 175 feet are said to be inspired by the Cologne-Cathedral in Germany. I still had ample time left over for my evening train. So, decided to visit Chamundi Hills , where a Temple of God Chamundi for Hindus is located. Will meet you at the Chamundi hills in the next post.